Xobega Island Camp is a piece of paradise in the great water wonderland that is the Okavango Delta. A bird-lover’s paradise, the eco-friendly Xobega has 10 light Meru-style canvas tents equipped with all amenities. Hippos rule the waters around the island, lions are heard across the water, and a Pel’s fishing owl takes up residence in the trees. Various kingfishers, the greater honeyguide, Meyer’s parrot, African green pigeon, and the knocking sound of the golden-tailed woodpecker add to the collection of calls resounding across the island. Other bird sightings include the grey-backed cameroptera, the white-fronted and blue-cheeked bee-eater, the paradise flycatcher, crested barbet, various weavers, and starlings. As if this explosion of sound and colour at Xobega wasn’t enough, the island is also the seasonal breeding ground for the Pel’s fishing owl – one of those ‘lifers’ birders will tell you about. Recently, we’ve spotted an incredible array of birds, the highlight being the rare Pel’s fishing owl! 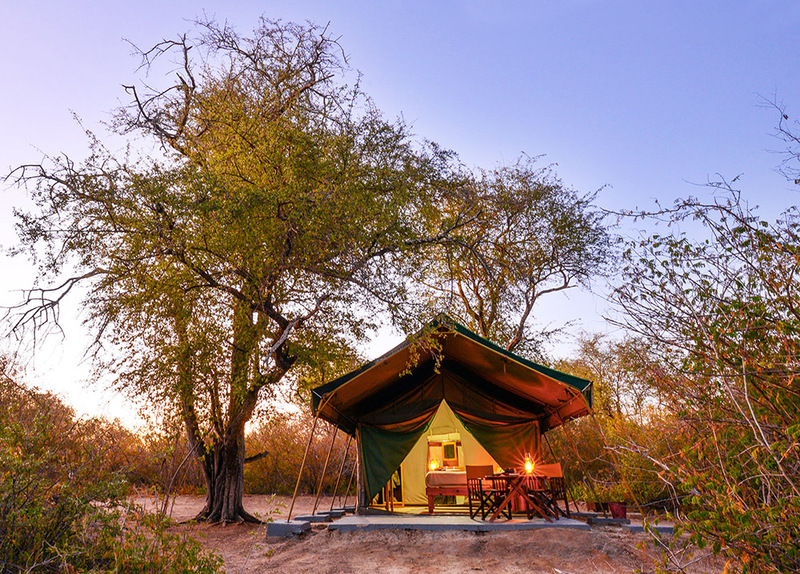 The Tuskers Bush Camp lies between Nxai Pan National Park in the east and Moremi Game Reserve in the west. It encompasses 365 000 hectares of mopane forest and scrub, plus the northern tip of the Botswana Kalahari, making this exclusive tract of land ideal for game drives and walking safaris. Guests witnessed an incredible sighting while out on game drive in the Moremi Game Reserve with Tuskers. Two leopards were seen with their kill! 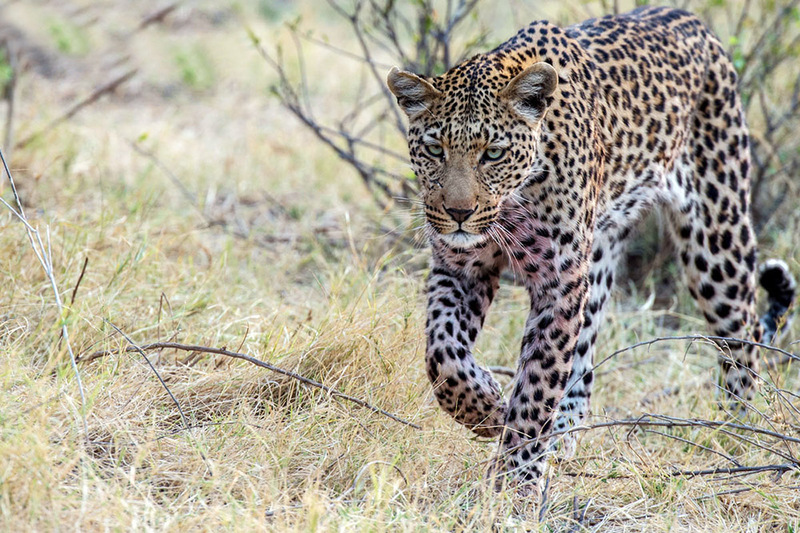 Both leopards were seen during the cooler hours of the day, which is generally when cats begin their patrol and scent marking. Although primarily nocturnal hunters, if the opportunity presents itself, a leopard will not hesitate to pounce, even if its already made a kill! This leopard in the Moremi was clearly on the move and returning to its recently made kill, which was obviously stashed somewhere for safekeeping.